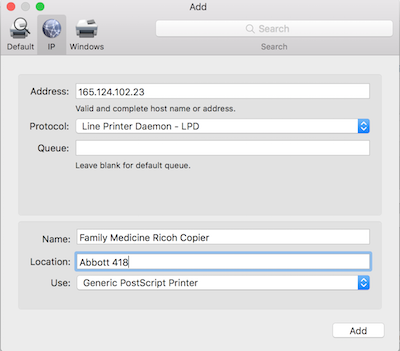 Using a printer connected by IP address has the following limitation: Wireless users MUST NOT be on the VPN. 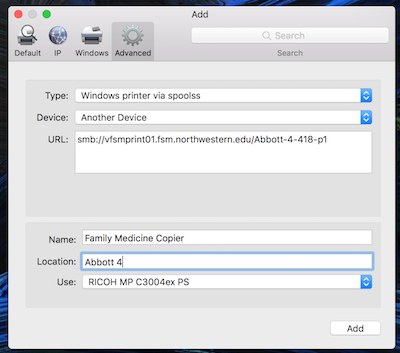 Using a printer connected by FSM Print Server: Wireless users MUST be on the VPN. 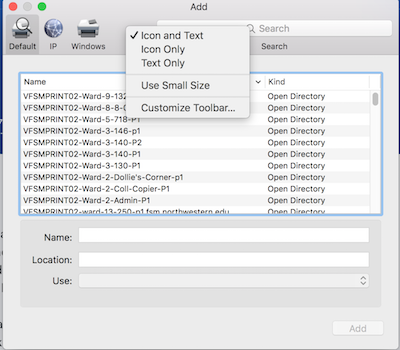 Instructions are based on Mac OS 10.12 Sierra, and may vary with other Mac OS versions. 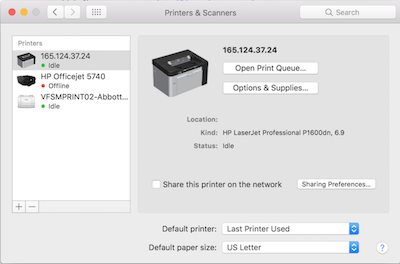 Obtain the IP address of the printer from the printer's user interface or by printing a network configuration page. 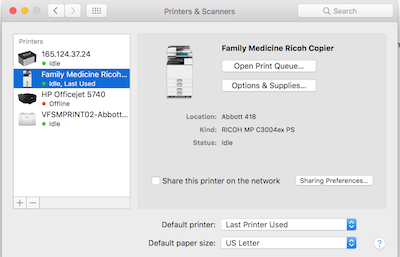 Click the "+" icon to add a new printer. 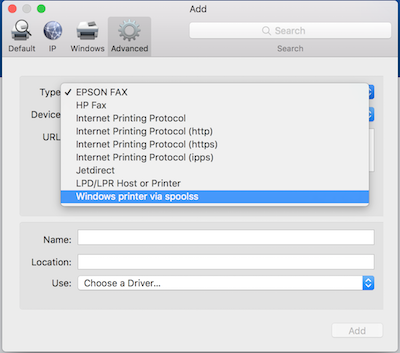 Use: If the correct model of the printer is shown here, the OS has the driver installed, and this field can be left as is. If not, the PPD must be downloaded from the printer vendor's website and installed. 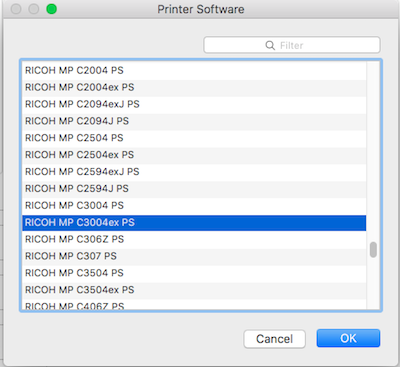 Once complete, click on the "Use:" dropdown, and select "Select Software..." In the Printer Software dialog, select the correct model from the list. Click the "Add" button. Printer will install. You may be prompted to configure options such as paper trays, duplexers, finishers, etc. 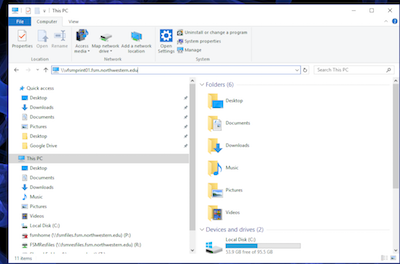 In the resulting "Add" dialog control-click on the toolbar, and select "Customize Toolbar..."
Drag the "Advanced" icon (gear) to the "Add" dialog's toolbar. Click Done. 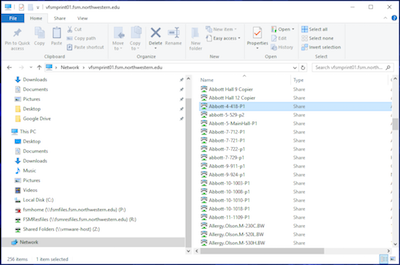 Once complete, click on the "Use:" dropdown, and select "Select Software..." In the Printer Software dialog, select the correct model from the list."